Flying Pigskin: Is Zac Taylor a good match for the Bengals? 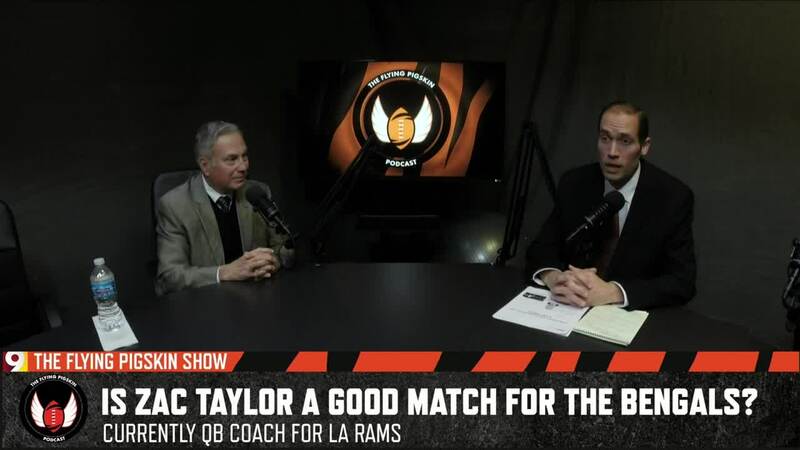 Is Zac Taylor a good match for the Bengals? Sources tell our sports team the current L.A. Rams QB coach will be named Cincinnati’s next head coach after the team’s postseason run. Vince Suriano, who’s coached with Taylor in the past, joins WCPO reporter Mike Dyer to talk about what his hiring could mean for the Bengals in 2019. Watch the conversation in the video player above.